For administrative purposes, Ari Atoll is divided into North Ari Atoll (Alifu Alifu), which includes Rasdhoo Atoll and the tiny atoll of Thodhoo, and South Ari Atoll (Alifu Dhaalu). 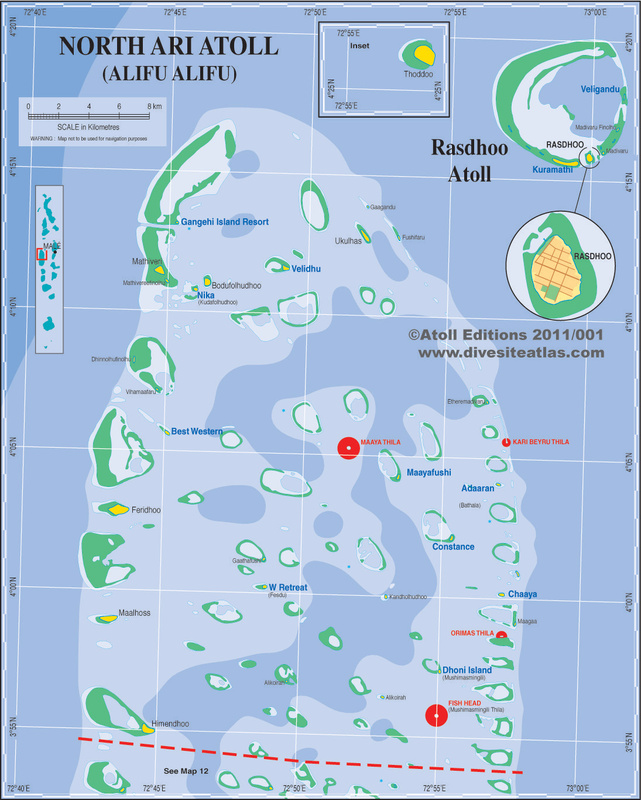 The capital of North Ari Atoll is Rasdhoo, and South Ari Atoll is Mahibadhoo. There are a total of 70 islands in Ari Atoll and many sandbanks, some of which are becoming islands, while others are being washed away. Rasdhoo Atoll is nine kilometers in diameter, while Ari is 96 kilometers long and 33 kilometers wide. There are a total of 18 inhabited islands in Ari Atoll, and there are a further 52 uninhabited islands of which 26 are resorts. 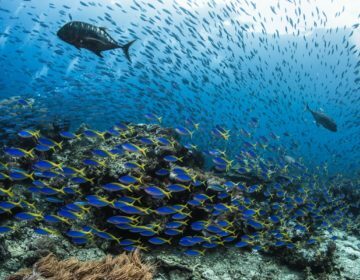 The principal occupation of Ari Atoll islanders used to be catching turtles, weaving sails, coral collecting, and coral carving, but they are good fisherman and are traditionally renowned for their shark catching to produce oil for the timbers of dhonis. Their shark catching traditions are still active and often at odds with divers who wish to keep the sharks in the water. Coconut production of the atoll is also high, and many islanders now turn to the resorts for employment. Resort development escalated in the early 1990s and has now peaked. 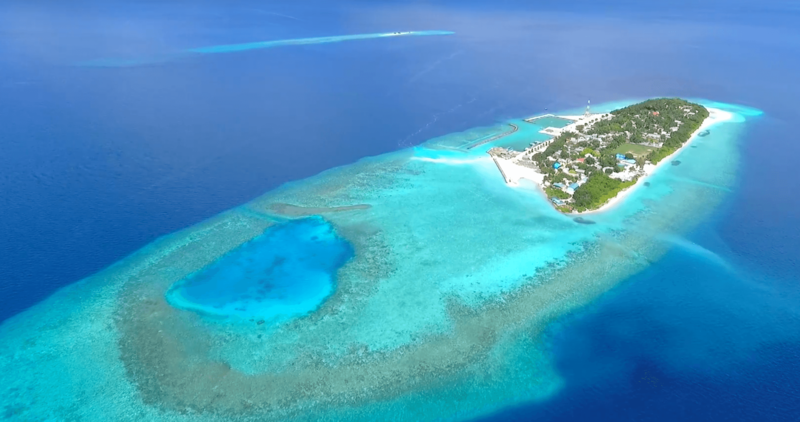 No more resorts are expected to be constructed in the atoll. Thoddhoo is a remote island 11 kilometers north of Rasdhoo Atoll. 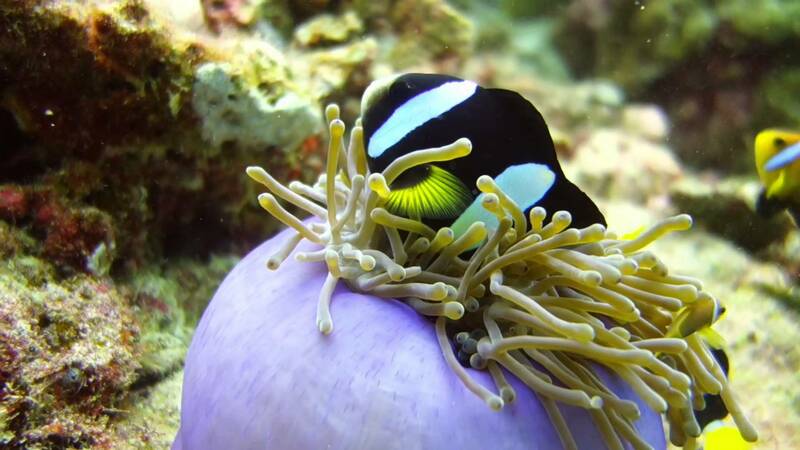 It lies on a tiny atoll two kilometers in diameter and is surrounded by water over 200 meters deep. 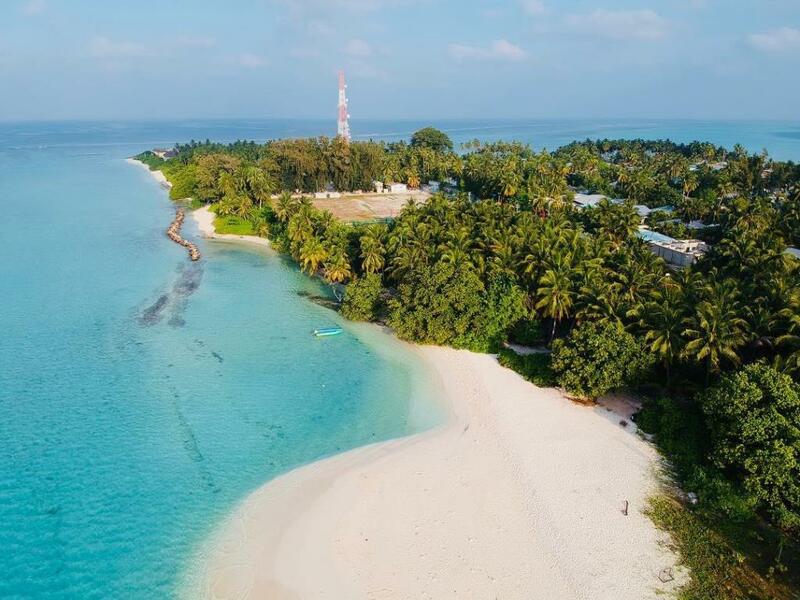 Thoddhoo is a Singhalese word meaning island on the big reef and is famous for its watermelon and vegetable growing, as well as betel leaf and chilies. The people are regarded as well educated, many of them holding government positions. Traditional entertainment and dancing are favorite pastimes. The remains of a Buddhist Dhagaba was excavated in 1958, and a statue of a Buddha was found. The Buddha’s head is now in the museum in Malé. Several other mounds exist and are yet to be excavated. Veligandu began as a resort in 1984. Madivaru Finolhu is a small sandbank now almost gone. Rasdhoo-Madivaru is uninhabited but was once quite big until most of the island was washed away. Rasdhoo means the first of the beginning island and Madi means ray. Rasdhoo Kandu is well known for its manta rays, but better known for its scalloped hammerhead sharks. From as far back as the local islanders can remember, Rasdhoo-Madivaru has been famous for its ‘head sharks’. The fisherman occasionally caught the shark on their lines, but the ‘head shark’ was difficult to catch. The fishermen believe there is a big cave deep down where the sharks live. The water outside the atoll is deep, and no one has disproved the story. Rasdhoo is an ancient inhabited island with Buddhist origins. It is the administrative island for North Ari Atoll but was formerly the administrative center for the whole of the atoll. Kuramathi is two kilometers long and 500 meters wide. It became uninhabited in 1970 when the population of 124 settled on Rasdhoo. Kuramathi Tourist Resort started in 1977 and was the first resort in Ari Atoll, beginning as a diving camp with 12 bungalows. It now has over 250 rooms divided into three parts of the island. There is Kuramathi Village at the south-east corner, the Blue Lagoon, and the Kuramathi Cottage Club. 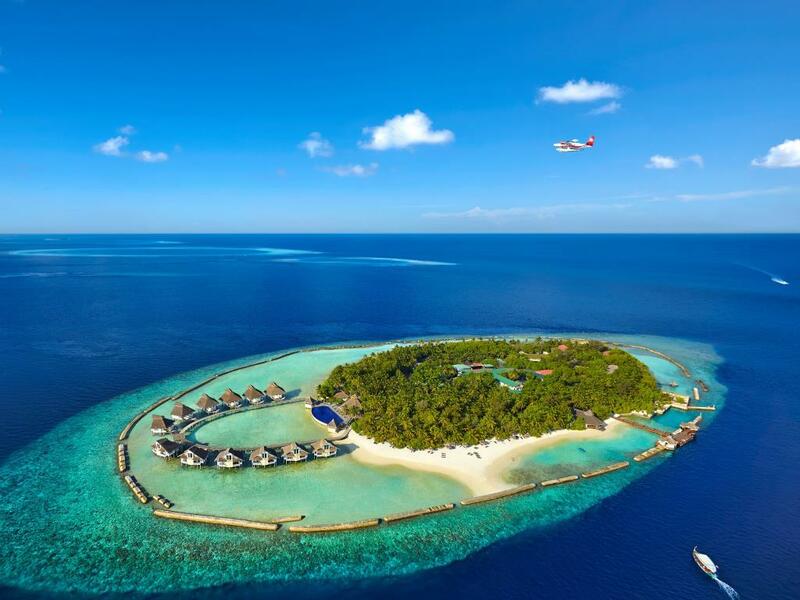 The resort is now called Kuramathi Maldives. The island has a rich history, and excavations carried out in 1988 revealed a large area was formerly occupied as a Buddhist monastery. Relics were uncovered, and many graves found. On May 29, 1868, the 965-tonne iron ship Reindeer with a crew of 26 and sailing from Mauritius to Galle, was wrecked on the reef of Kuramathi. No remains of the wreck have been found, but this is not surprising as the reef drops almost vertically to more than 200 meters around Rasdhoo Atoll. The ship could easily have found a deep resting place. Gangehi is a small uninhabited island lying near the 2.5-kilometer-long Gangehi Kandu and opened as a resort in 1987. Mathiveri is an uninhabited island which, like Kuda Folhudhoo (Nika Hotel) and Bodufolhudhoo, has a big Nika tree on the island. Mathiveri means upper portion and refers to the island’s position at the north of the atoll. The old mosque on this island was built during the reign of Sultan Ibrahim Iskandar I (1648 – 1687 AD). Mathivereefinolfhu is a small, secluded uninhabited island which Nika Hotel guests regularly visit for picnics. Bodufolhudhoo – fishing is the primary occupation of the islanders on this island. Kudafolhudhoo opened as Nika Hotel in 1983. It has a large Nika or banyan tree (Ficus benghalenses) over 130 years old. The branches of the Nika tree are strong and flexible and used for supporting the sails of dhonis. The island is well vegetated, partly because of tons of soil imported for growing plants and fruit. Nika is noted for its splendidly designed hand-crafted bungalows which are circular, like a shell, with high thatched ceilings, and arched slated windows. 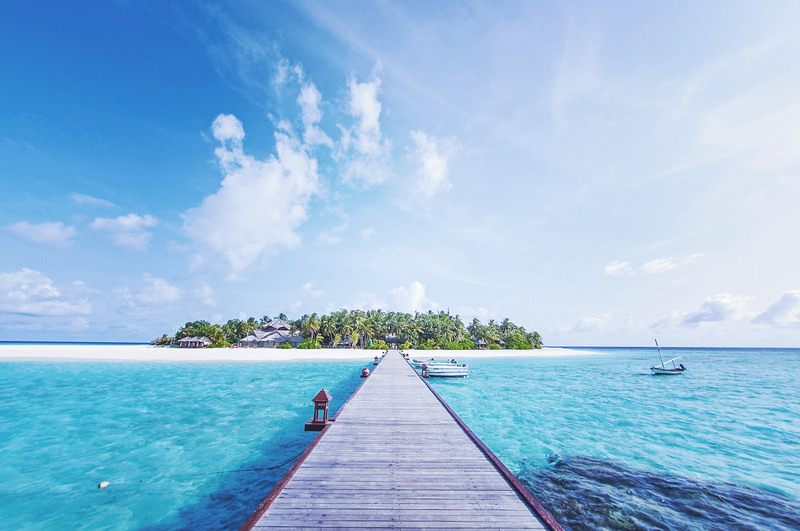 Velidhoo means sandy island and opened as a resort in 1989. It is now called Velidhu Island Resort and has a protected lagoon with a good anchorage for dhonis. 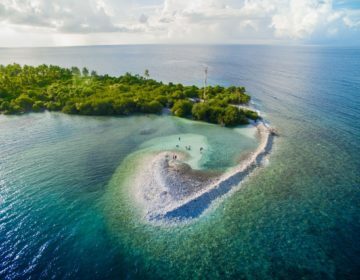 atoll are the remains of two small islands, Ukulhas Fushi, which is a sandbank with three bushes, and Gaagandu, which was an island with a stone foundation washed away a long time ago. Gaagandu means big stone. 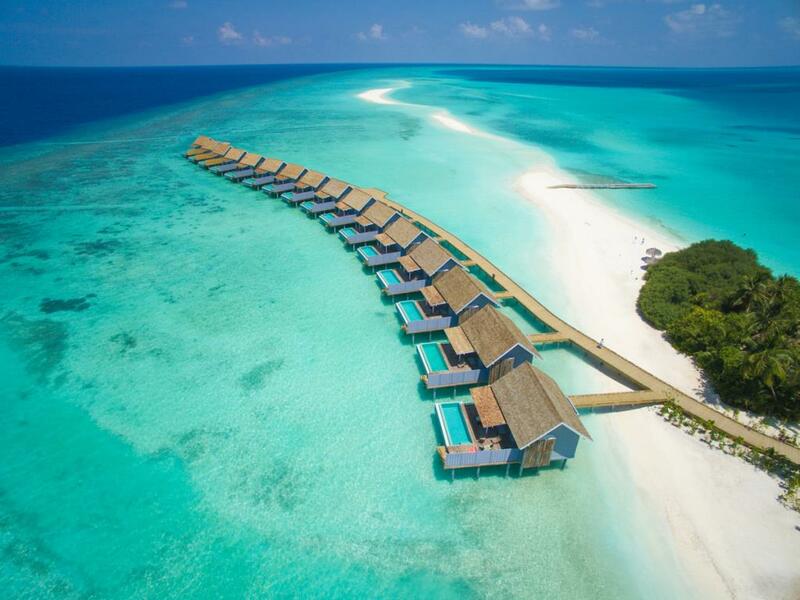 Madivaru is now a resort called Aqua Sun. Madi means manta ray and varu means island. Mantas are common in the waters around this island. 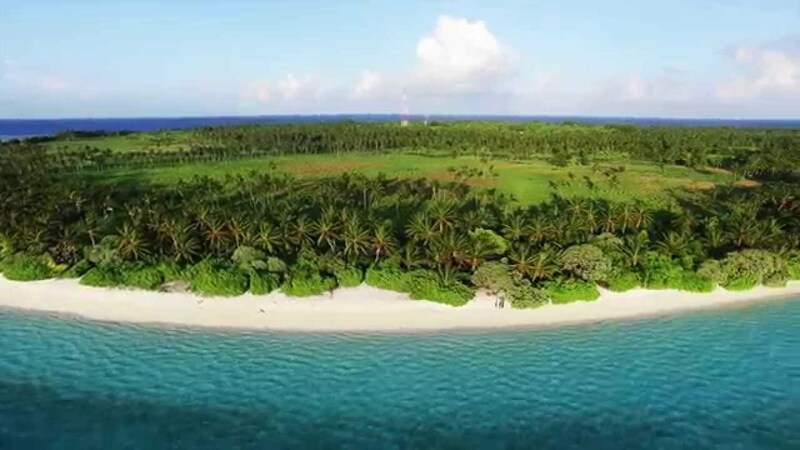 Bathala is an oval-shaped island which opened as Bathala Island Resort in 1983. A battala is a sweet potato. The island has a house reef close to the island with surrounding waters dropping to around 30 meters – ideal for snorkeling and diving from the island. Ellaidhoo is the twin island of Bathala – similar in shape and well vegetated. It started as a resort in 1985 and has no lagoon, but the island is surrounded by deep water to around 30 meters and is easily accessible to snorkelers and divers from the island. The resort is now called Ellaidhoo by Cinnamon. Maayafushi is a half-moon shaped resort island with a big lagoon that offers good anchorage. It opened as a resort in 1983. Halaveli is similar in shape to Maayafushi and has a big reef and lagoon. Both islands have good sailing and windsurfing. Hala is a tree (Suriana maritima) with hardwood and small leaves. Halaveli opened as a resort in 1983 and is now named Constance Halaveli. Maagaa is a small uninhabited island on the outside of the atoll. Kandholhudhoo is a resort island. Kandholhu is a type of wild lily that grows on the islands. Mushimasmingili is a small resort named Safari Island, which has a deep lagoon ideal for anchoring safari boats. Alikoirah is a small uninhabited island. Himendhoo is a big inhabited island at the eastern end of Himendhoo Faru. The islanders mostly engage in fishing, and the island has a long history, and Buddhist relics are found from time to time. Maalhoss is another uninhabited island with an ancient history. Lhoss is a lettuce tree (Morindaefolia), and this island is very fertile with big trees. Fesdhoo lies nine kilometers east of Maalhoss and opened as Fesdu Fun Island resort in 1982. It has an excellent house reef for snorkelers and divers. Fesko is a small bush with blue or white flowers (Tephrosia tenuis). It is often used in local medicine, especially for urinary complications. 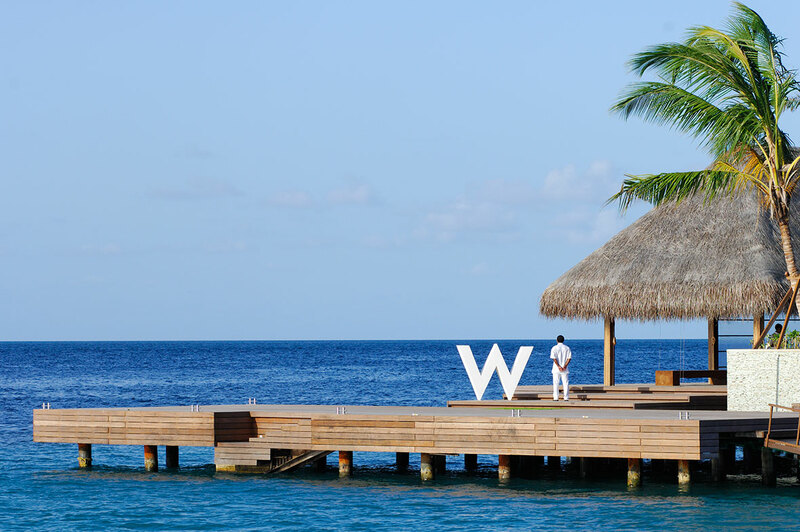 The resort is called W Retreat & Spa Maldives. Gaathafushi is an uninhabited island, popular with day-trippers from Fesdhoo. Feridhoo is a big fertile uninhabited island also with Buddhist origins. Many of the islanders are descendants of slaves brought to the Maldives by sultans. Sultan Hassan III (1442 – 1467 AD) returned from Mecca with 70 slaves, and later Sultan Hassan Nooradhdheen (1779 – 1799 AD) brought back slaves from his trip to Mecca. Subsequently, the slaves were freed and sent to Kudafari in Noonu Atoll and Feridhoo. The slaves mixed with the local people and today many of the islanders are big and dark with curly hair. Madoogali was an uninhabited island until 1943 when the 43 remaining people were taken to Mandhoo. The island became a resort in 1989. Madoogali means island formed by portions of coral stones. 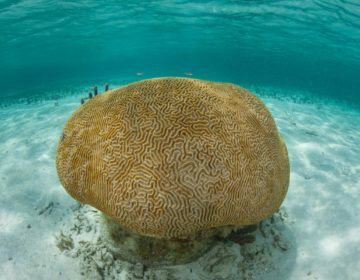 It has many trees and excellent snorkeling, especially at the southwestern end where nurse sharks are sometimes found under the coral boulders. Vihamaafaru is an uninhabited island three kilometers to the north across Madoogali Kandu. It has some palm trees and bushes and good snorkeling on the reef. The island name means big poison reef. A small sandbank lies to the north on the same reef.